Technology company 3M says it is committed to move to 100% renewable electricity in all its facilities around the world, beginning with its own headquarters, applying Xcel Energy Inc’s service. 3M becomes the largest company to convert to 100% renewable electricity in Xcel’s area across eight Western and Midwestern states. 3M’s St. Paul global headquarters is a 409-acre campus with about 12,000 employees across 30 buildings and research labs. The move at its headquarters will increase the company’s total global renewable electricity sourcing by more than 5% to approximately 30% and further help the company reduce greenhouse gas emissions. It has also recorded a 68% absolute reduction in greenhouse gas emissions since 2002, while nearly doubling its revenue. The firm says this is in line with Its strategic focus on science for climate with the aspiration to innovate to decarbonize industry, accelerate global climate solutions and improve the company’s environmental footprint. As part of the global goal, 3M is joining RE100, a global leadership initiative, led by The Climate Group in partnership with Carbon Disclosure Project (CDP) that brings together influential businesses committed to sourcing 100% renewable power for their worldwide operations. 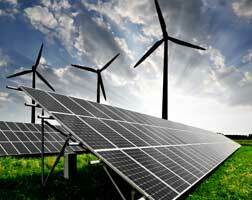 It has also set an interim target to source at least 50% of its electricity from renewables by 2025. As a global manufacturing and technology company that produces thousands of diverse products, 3M says It is committed to accelerating global renewable energy adoption and to transparently sharing progress along the way. At the same time as 3M converts its operations to wind and solar power, the company continues to support the global renewable energy sector by producing solutions for its customers that improve the reliability and efficiency of renewable energy, including solar and wind. Last year alone 3M’s products helped customers avoid more than 13 million tons of greenhouse gas emissions.